Pesto Chicken Meatballs are a nice spin on the classic meatball. 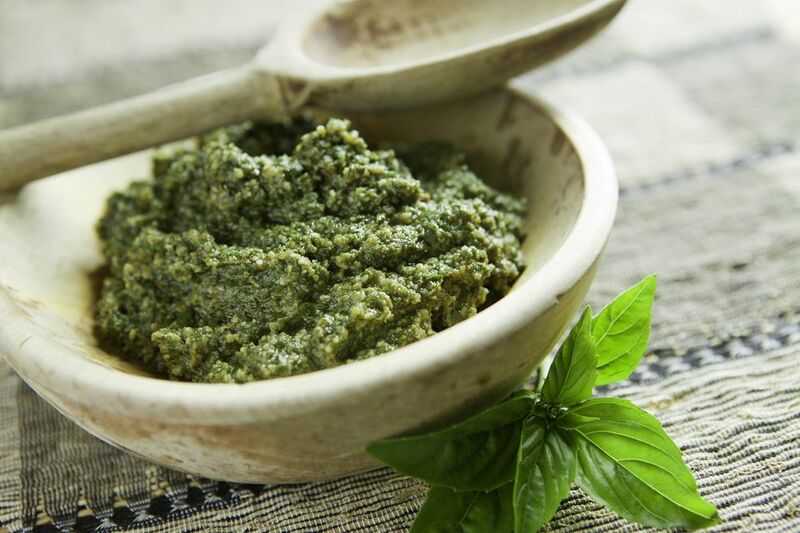 Ground chicken and pesto sauce are readily available at most grocery stores, so make this one soon! Preheat oven to 375 degrees F. In a small skillet, melt butter over medium heat. Add onion and garlic; sauté and stir until tender, about 6-8 minutes. Remove to large bowl and let cool for 5 minutes. Add pesto, egg, sour cream, breadcrumbs, cheese, and salt and pepper to onion mixture and stir to combine. Add ground chicken or turkey and mix with hands until just combined. Place on baking sheet with sides. Bake for 22-27 minutes or until an instant read thermometer registers 165 degrees F.
Use in recipes, or cool completely, then freeze.